Italian patent for industrial invention n. 01306215 filed September 7, 1998 – TE98A0006, int. class. 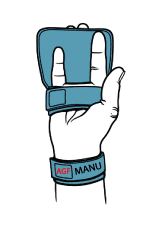 A61F; title Brace for the hand, issued by Italian Patent Office on May 31, 2001, exp. 2018. US patent for industrial invention n. 6, 293, 919 B1, Appl. No. 09371.198, int. class. A61F, filed on September 1, 1999, issued by United States Patent Office on September 25, 2001 – title: hand brace; exp. 2019. European patent for industrial invention n. 9830371.3, filed on 6.15.99, int. class. 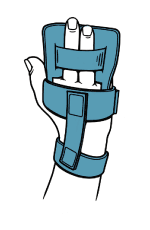 A61F, title: hand brace, issued by the European Patent Office in July ’02, exp. 2019; to be activated in the individual countries concerned.